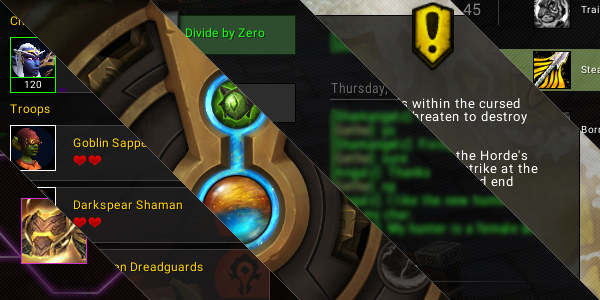 As with every expac, change is the name of the game, and this one is no different. Most of these changes affect addons, though often to varying degrees. While the core of RealUI is prepared for these changes, unfortunately not all have made the necessary updates. Specifically, I have yet to see any activity regarding Clique, Grid2 and PhanxChat. They may still get updated within the next few days/weeks, and I will update this post if they are.  RealUI has gone through a lot of changes over the years, but the biggest are yet to come. This version marks the start of a transition toward a more unified interface suite. All of the compiled addons like cargBags, KuiNameplates, and even Bartender will eventually be replaced by "in-house" versions. This will make it easier to fully integrate these features into the interface as a whole, rather than relying on hacks to force them to do something. In light of this, the version number has been reset and simplified. It will now follow a major.minor.patch format. Major will be increased if there is a necessity to even partially wipe settings, don't expect this to happen often if at all. Minor is when an addon or feature is added, removed, or significantly changed. Patch for bugfixes and minor tweaks. To further mark the occasion, a brand new logo was commissioned from the talented Stephano Sue. You've probably already seen his work on Method's branding, as well as WeakAuras and many others. Speaking of changes, one of the significant changes in this version is to the interface skin. The old addons !Aurora_RealUI and Aurora have been combined into a single addon: RealUI_Skins. This new addon will provide all skinning capabilities for RealUI and is not optional. RealUI_Skins also brings with it new skinning options such as configurable frame and button colors as well as class colors. Additionally, all pixel fonts have been removed in favor of the standard font, Roboto. The primary reason for this is readability. Pixel fonts really only look good at a specific size, and when scaled can quickly get pretty ugly. Furthermore they can be difficult to read at any size for anyone that has a visual impairment. Discuss this update on the forums. !BugGrabber and Bugger have been replaced with a new addon: RealUI_Bugs. With this new addon I am able to integrate error alerts much more tightly into RealUI. In the future this will also allow for targeted debugging info to be added directly into the error report. Note: This will never contain a character's name or other information that could positively identify a specific character. When an error occurs, there will be a one line chat output and the Infobar start button will change to a bug icon along with the total number of errors. To view the error you can click the chat link, use the new start menu item, or /error. This is a required addon, and any other bug catching addons will be disabled if not removed. The list of channeled spells has been fully updated. Additionally, haste is now account for so you'll be able to see new tick markers added as you gain more haste. The Infobar has been completely rewritten from the ground up. This new version was built with LDB support, which will allow you to customize it like never before! Another new feature are the progress watch bars. They will display your tracked progress (XP, AP, etc.) as a visible bar running the length of the Infobar. This feature can be disabled independently of the progress watch block, but cannot work without it. Finally, you may notice that the meters toggle is no longer present. This is because Skada and most other DPS meters provide their own LDB feed that can be used as a toggle. To reacquire this feature, open up the advanced config (/realadv) and in the Infobar section you can toggle the relevant addon in the bottom section. cargBags_Nivaya was given a thorough audit aimed at improving performance and reliability. If you have been using another addon or the Curse version of cargBags_Nivaya, I encourage you to check this out. Additionally, relics are now sorted with gear and will show the item level increase they provide to an artifact. 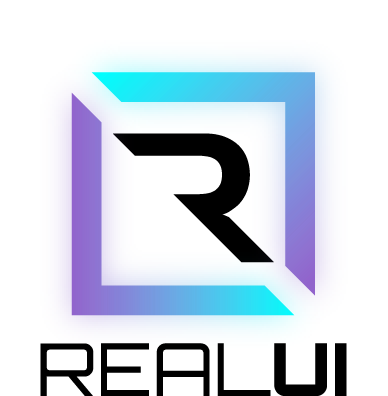 As I said in the announcement post this was not a decision made lightly, but I believe it is the right course for the betterment of RealUI as a whole. This includes updates to the default trackers for Shaman, Warlocks, and Warriors. Also added are new default trackers for Demon Hunters, just in time for the invasions. As always, feedback on these or new ones to include are always welcome. As of a few weeks ago, I have taken over updates for Aurora. Updates to Aurora may not always coincide with RealUI updates, so please feel free to update Aurora as those come in. This is a major compatibility update for Legion. At this point the only things left are a few minor skin updates and default aura trackers for Demon Hunter, Shaman, Warlock, and Warrior. I wanted to have at least the aura trackers done for the pre-patch, but updating them was taking longer than expected and having a working ui is more important. In the download I've included tweaked versions for MSBT and Raven so that they can more gracefully transition into 7.0; however, these are not full updates. The author for Raven is working on a Legion update, so when you get the patch be sure to grab that version. MSBT is less clear, but there weren't any major changes that affect it so it should be fine. I've made some updates to Aurora, aimed mostly at areas that would throw an error. I'm not sure what Haleth's plans are for Legion, but this should work for now. Kui_Nameplates is getting a complete re-write for Legion due to Blizzard's revamp to the nameplate system. The version that is currently included WILL NOT WORK in 7.0. I'll update this post, as well as notify in Discord when the new version is released.